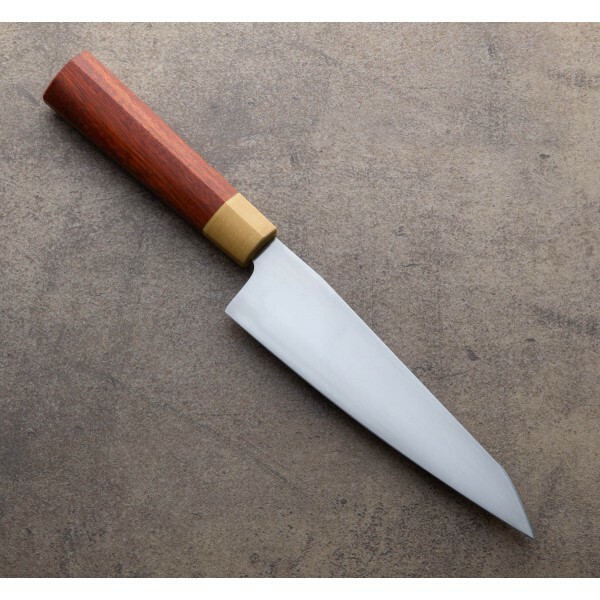 The 185mm / 7.28" hand-sanded CPM-154 stainless steel blade in this kiritsuke by Don Carlos Andrade features a full distal taper, convex bevels and polished, rounded spine and choil. 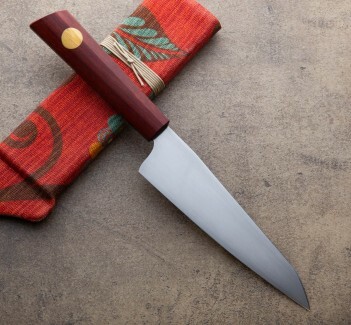 Superb in every way, Don's work is informed by over a dozen years building custom chef knives, not to mention his formal training as a chef and years as a sculptor. With balance and geometry front and center, materials and style are never sacrificed, this knife featuring beautiful bloodwood with an ivory micarta bolter using mortised construction and a blade in one of the world's finest stainless blade steels. A cloth covered protective case is included. 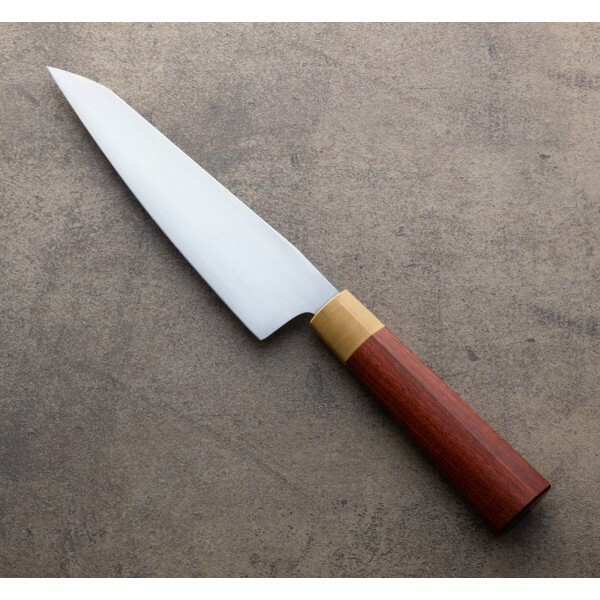 Blade length: 185mm / 7.28". 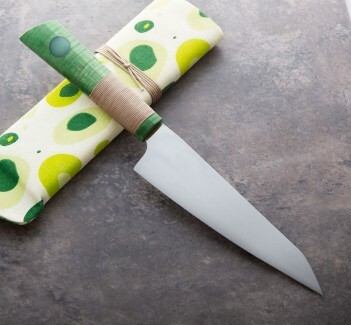 Overall length: 330mm / 13". Blade width at choil: 3.5mm. Blade wiidth 1" from tip: 1.8mm. 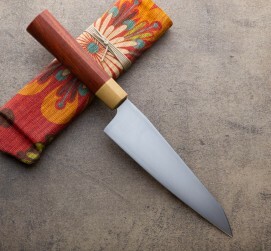 Blade height at heel: 46mm. Weight: 6.5oz / 184g. Blade: CPM-154 stainless steel with hand-sanded finish. Handle: Cocobolo with antique ivory micarta bolster.